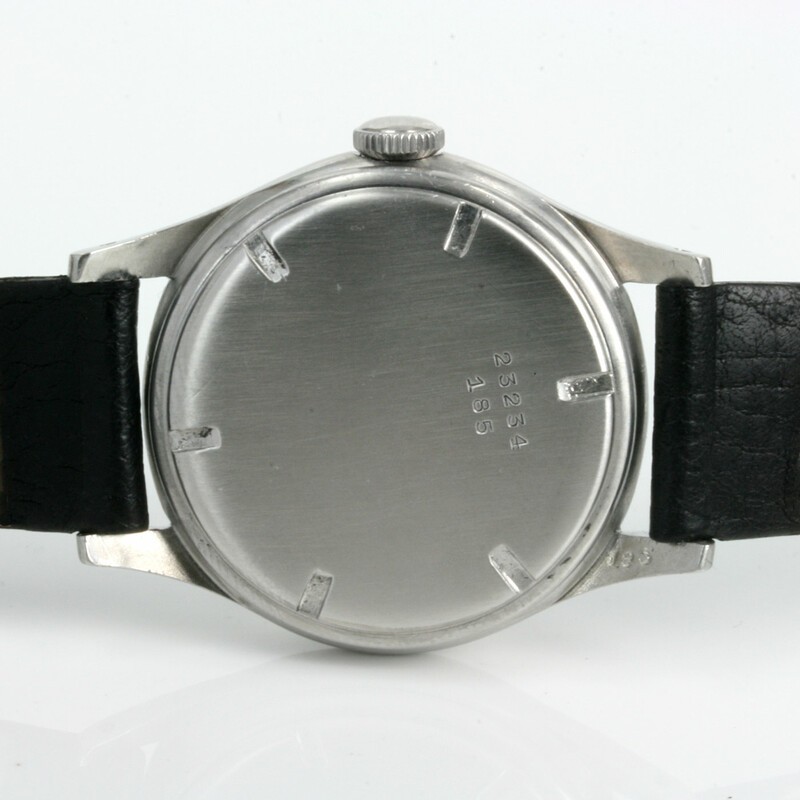 Product code: Q789 Categories: Sold Items, Sold Watches. There is something so wonderful about wearing a vintage watch on your wrist and here is a great looking vintage Longines watch that was made in 1945 and still looks so good all these years later. The dial of this Longines is all completely original and has the most wonderful patina that only a true vintage watch can achieve and is still so easy to read with the numerals and the sub-seconds at the bottom as well as retaining its original hands. This Longines looks so good on the wrist and will always be admired and the stainless steel case measures 35mm across plus the crown. 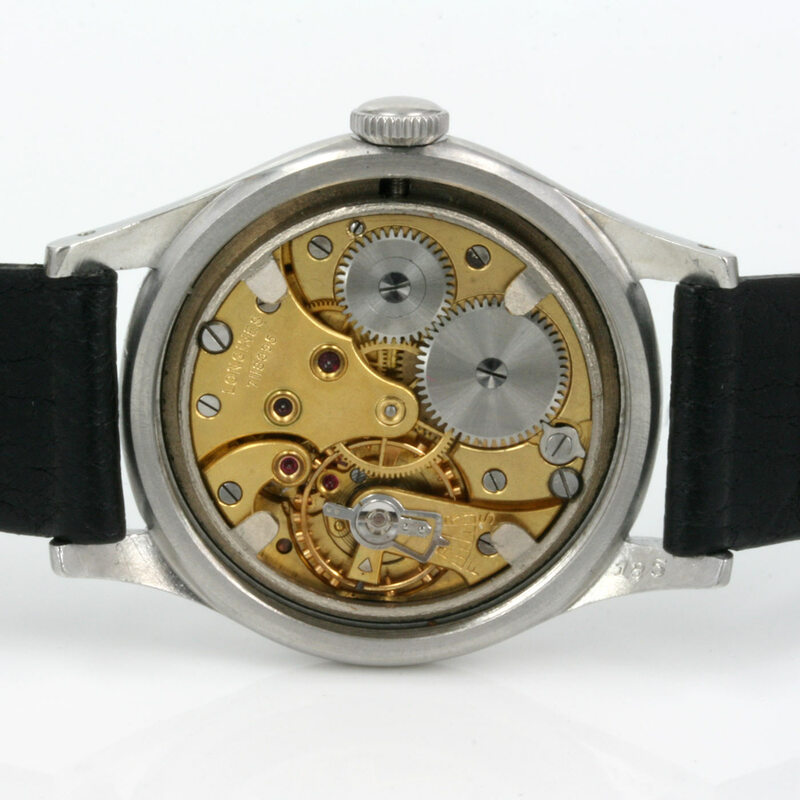 Inside the watch is a manual wind Longines calibre 687 that has been serviced and runs perfect and comes with our 12 month warranty. 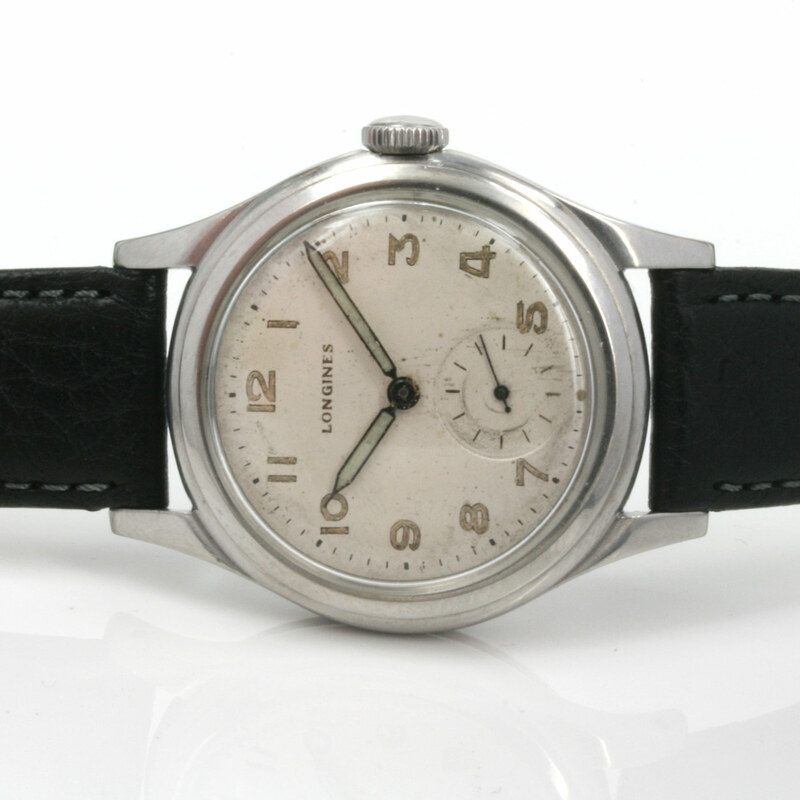 With a great classic look, this vintage Longines watch will always be admired and appreciated.